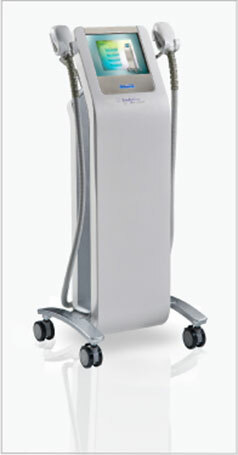 The latest FDA approved treatment for body contouring and facial skin tightening. Age, sun exposure, and genetics can result in unsightly wrinkles and loose skin, both on the face and other parts of the body. Improving its global approach to beauty enhancement, the Marbella Vein and Beauty Clinic has added the EndyMed PRO 3DEEP machine to the range of services on offer. It employs a new generation of Radio Frequency (RF) energy which has multiple medical and aesthetic applications including body contouring and skin tightening for the face and body. It is one of the first centres in Spain to offer this cutting-edge skintightening technology that can provide excellent results without the stress and recovery period involved in cosmetic surgery. The treatment works by delivering radio frequency energy to heat the subsurface layers of skin in order to cause collagen contraction and remodelling, resulting in tighter, younger looking skin. The device uses sophisticated technology that controls the divergence of energy, directing the radio frequency waves through the epidermis and forcing them deeper, resulting in collagen remodelling and volumetric tightening. Basically, by delivering energy to the deepest layers of skin, the 3DEEP stimulates new collagen production and improves skin surface texture. As new healthier collagen is formed, tighter, more natural looking and firmer skin will be produced. The gradual improvement in your skin will continue even after completion of the treatment series. What are the differences between the 3DEEP and the other RF devices available on the market? Firstly, this is one of the few FDA approved devices which means that studies have been conducted to prove its efficiency and safety. Secondly, unlike unipolar energy which is very painful for the patient, and bipolar energy which is harder to control, this newest radio frequency uses an advanced, multi-source, phase-controlled technology treatment which delivers energy safely and precisely for maximum effectiveness with no patient discomfort. Thirdly, the unique benefit of this treatment is that it can be used on all skin types without the risk of hyperpigmentation. EndyMed™ is appropriate for both women and men and for all skin types from fair to dark, including tanned skins and can be used any time of the year. Because of its ability to target specific areas, you can choose a facial tightening procedure, body tightening treatment, or body contouring treatments. The 3DEEP treats the face, neck, décolletage (upper torso just above the breasts), upper arms, thigh, abdomen, hips and buttocks. EndyMed 3DEEP™ can also shape, smooth and tighten skin in smaller, harder-to-treat areas, such as the neck, upper arms, chest and knees. During the procedure, the device is placed on the skin’s surface and gently massaged over the treatment area in a circular motion. The area slowly warms as energy is delivered into the skin. Many patients have described it as a warm massage and say it is an extremely relaxing treatment. The session lasts between 30 to 45 minutes. Usually patients receive 4 treatments performed at 1 week intervals, and then have 2 additional treatments at 2 week intervals. Physicians encourage a follow-up about 3 months after the last session. Results start showing after the first session and improve with time. • Provides targeted, controlled, painless deep heat delivery for treatment of wrinkles and face and body skin tightening and contouring. • Enables superior efficacy with no discomfort and ultimate safety with little or no downtime. • Enables personalised treatments tailored to each patient’s unique skin characteristics through sophisticated real time tissue sensors and feedback mechanisms. • All parts of the body and any colour of skin can be treated in any season. • Progressive results show at the end of each session and continue over the months to follow.